S.N. Leek with Elk on the Mountainside. Stephen N. Leek (1857-1941) was a rancher and guide who became widely known for his efforts on behalf of elk preservation. 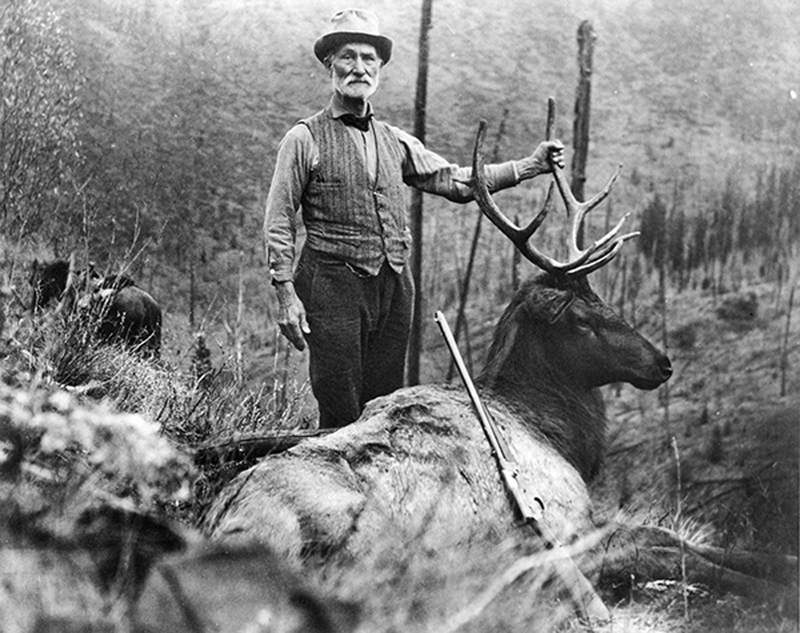 Born in Canada, he worked in southeastern Wyoming before settling in Jackson Hole in about 1888. He served in the Legislature in 1907.